In this last 1-2 years, between the losses of many music icons like Scott Weiland (Stone Temple Pilots), Chris Cornell (Soundgarden / Audioslave), Prince, David Bowie, and most noticeably for Jennifer Hope, Chester Bennington (Linkin Park). 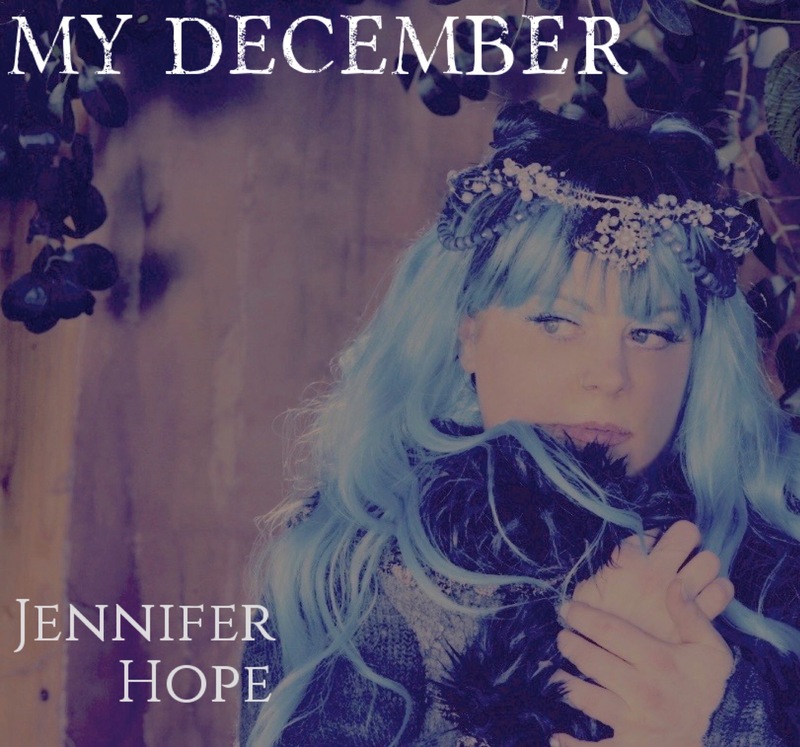 And with her cover & tribute version of Linkin Park’s “My December”, I must say, I haven’t had goosebumps over a tribute like this since Tori Amos’s Piano/Vocal version of Nirvana’s “Smells Like Teen Spirit” back in the 90s under the same mantra and concept that Jennifer Hope brings to the forefront with this cover. It’s not just a run-of-the-mill Piano/Vocal cover, Hope really brings the vocal sensuality of the verses that parallel the same vocal delivery intended by Bennington himself, and puts a strong and even raspy tone to the chorus that once again brings the expression of the original version. But despite all the similarities, Jennifer Hope breathes new life into this song and performs it with that kind of simplicity that showcases her strongpoints in talent, emotion, production value, and true meaning in her artistic merit. She really lights up the room with this version, but still brings forth a darkness that beckons the Soul of the original version in all the right ways. This tribute was also released with the intention of bringing the components of suicide prevention & awareness, which currently has an active fundraiser that Jennifer Hope put together to support the cause and utilize the song into the hopes of helping others through the fundraiser. This Linkin Park cover is definitely a version that will give you the shivers and really put a sensation and aura of pure emotion into you with the beautiful swells from the Piano parts and mid-ranged vocals that tie in perfectly with the song’s production value and beauty. This phenomenal version will not only amaze you, but will entice you to see the bigger picture. The centerpiece of what Hope put into this tribute with her undeniable talent, and the awareness that should not be overlooked. Take a listen to this tribute, and also check into her GoFundMe campaign as well and contribute to a selfless cause that is far too common among today’s youth and pop culture. This multi-award winning and highly acclaimed Venezuelan Recording Artist is anything but a letdown. Edward Mena is an internationally renowned Singer that has performed alongside some of the industry’s biggest artists and events in his genre, and has influenced many newer artists of his type as well. In my opinion, he’s the Venezuelan Frank Sinatra. And he deserves the comparison. 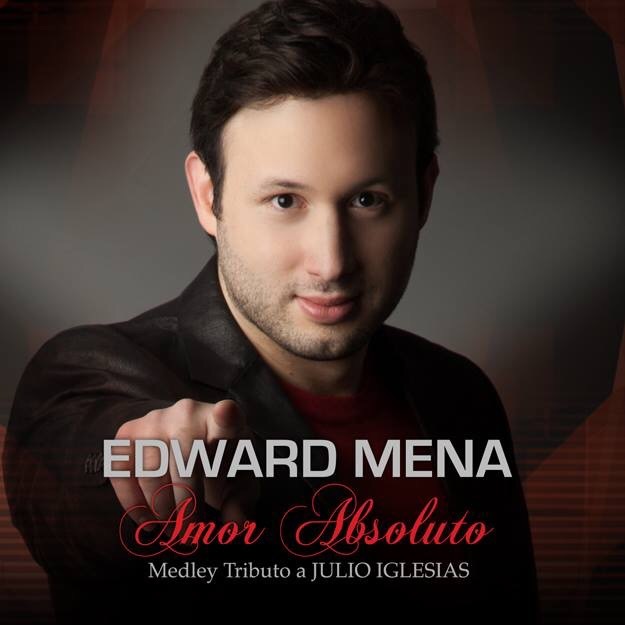 His tribute single “Amor Absoluto: Medley Tributo a Julio Iglesias”, produced by 16 Grammy Winner Humberto Gatica and accompanied by a very dynamic and cinematic Official Music Video with great set designs, is a very romantic and brilliantly performed song that showcases Mena‘s Baritone-to-mid-range voice perfectly. His vibratos are very on-point, and the production value gives this a classic signature sound that really contributes strongly to Mena‘s genre. The video is a strong first impression for Edward Mena if this is the first time discovering him. It’s apparent that his vocal style and image parallel each other perfectly, and sets the foreground for this artist’s craft and contribution to a very multifaceted genre that displays sensuality, emotion, and versatility. He’s a top-of-the-line artist that can be booked at just about any high class event, cruise, wedding, or anything that calls for a classy style and image. This artist has been hitting the ground running and his career has incredible direction. If you haven’t heard Edward Mena yet, this song and video will leave a strong impression on you. And we couldn’t praise him highly enough. He’s a masterpiece of his craft. I’ve always had a special place in my heart for female musicians, especially those that can really master the art of the six-string. A lot of new artists come out of the gate however, by utilizing their talent in performing YouTube covers (even in live shows as well) to get their voice out there for the world to discover them before they break out into original music. We have the perfect example of this with Indie-Acoustic artist Brianna Musco. From recording live-performance videos of herself playing her own versions of artist greats like Katy Perry, Ed Sheeran, and many more, Brianna hits it out of the park with her high-quality recorded acoustic renditions of some of today’s radio favorites with her own breed of sound and texture. She’s charismatic, fun to watch, and upon discovery will have you captivated in her overall persona. 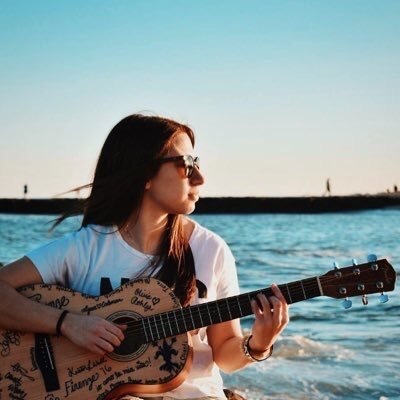 She’s got a laid-back, free spirited approach and carries the torch with her soulfully soothing vocals that go perfectly with her acoustic approach. Add in some low-end keyboard parts, and Brianna Musco is a one-woman army with multi-talented and multifaceted qualities; rendering the listener curious with anticipation for what her original music will bring when she finally unleashes it. This girl deserves your undivided attention in whole. There’s only a handful of Indie-Female multi-musicians that can bring the goods to the table like Brianna Musco. Discover her now so you can be one to say that you found her first. With a quartet of rockers with members ranging from the ages of 15 to 25 that have already hit #1 Rock Charts on ReverbNation, I must say that this multinational cover band from Spain, Happy Freuds, without a doubt must have turned some heads by now. Playing some of the best Classic Rock & 90s we’ve come to know, from Black Sabbath, Billy Idol, and Pearl Jam, these kids have drawn an insatiable fan base, a great internet presence, and demand for their live show in many different parts of their country. One thing that’s very impressive about these young men is their precision. They are very well rehearsed, and every track they upload on their music pages are either live one-take-only recordings, or live-in-concert recordings. So when it comes to EQing their amps, and assuring a faultless show presentation, you can’t go wrong with Happy Freuds. This is the first cover band we’ve ever reviewed and also the first cover band I’ve personally seen hit #1 on ReverbNation. They’re young guys with outstanding musicianship, and we imagine a great future for them! We definitely recommend checking them out and listening to their great spin on some of the best Rock songs the world has come to know. Clever Measures are exactly just that: clever. A little Rock, a little Roll, and a mix of originals and covers to satisfy the Live Show goers’ soul. Since forming in 2013, a dynamic and very natural chemistry manifested among the quartet of professional musicians. Clever Measures pretty much formed and evolved into an all-star lineup with the relentless musicianship that each member brings to the round table. And whether it’s rocking some energy-driven covers for the crowd (and for the better paying shows), they also have written some excellent songs that need some major attention. And there’s one that jumped out at me right at the top of their Soundcloud. That song is “Eat Sleep Race Repeat”. A guitar-fueled Sports Racing anthem that glorifies the sports tribute with an undeniably high-energy, ridiculously-well-written guitar riff that starts this song off with some strength. 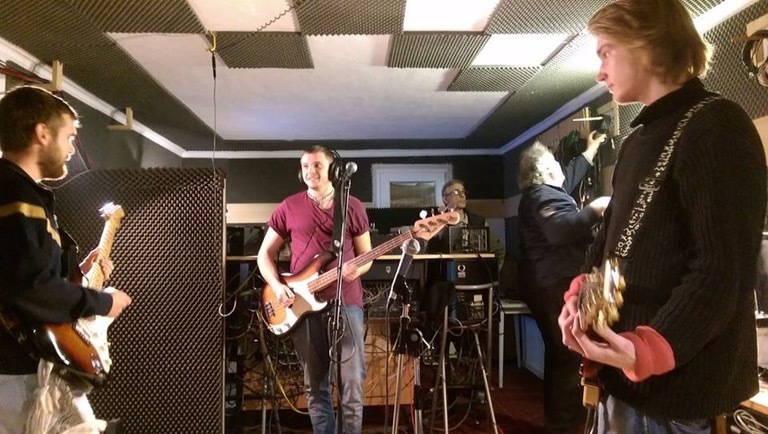 Once the rest of the band comes in, it’s balls-to-the-wall all the way through. All of your favorite Rock elements from all the epic eras are in this song. We hear riffs that compliment and bring us back to the golden Classic Rock days, the untouchable 90s era in the songwriting and melody factors, some 80s that also can be heard in some of the vocal delivery, and the better parts of today’s Rock sensibilities. All the ingredients needed to make “Eat Sleep Race Repeat” a song perfect for blasting in your car stereo, putting on repeat, and best of all–to hear the band playing it at a live show! The chorus of this song soars, the production value showcases a powerful rhythm section and dueling guitars with high-gain, well-EQed and crisp guitar tones that include shredding solos and all the goods in between. The vocals have a great range, great tone, and have a powerful delivery that energizes this song for both your CD listening experience, and Live Show.